CARICOM Today:- CARICOM Finance and Planning Ministers were meeting in Barbados Tuesday to advance a number of development initiatives geared towards enhancing the use and operation of the Single Market and Economy. It is the sixth Special Meeting of the Council for Finance and Planning (COFAP) and was convened under the Chairmanship of Antigua and Barbuda’s Prime Minister and Minister of Finance Mr Gaston Browne. “The deliberations of this Council today touch on issues that affect the lives of the citizens of CARICOM”, Secretary-General Ambassador Irwin LaRocque told the Meeting’s opening ceremony. “It also includes establishing a credit reporting system and regulating the operations of credit bureaus to protect the rights of borrowers. That will facilitate access to credit for supplementing income and undertaking long term investments such as education and mortgages, as well as providing working capital for businesses. It will also provide for the cross-border exchange of credit information by Member States,” the Secretary-General said. 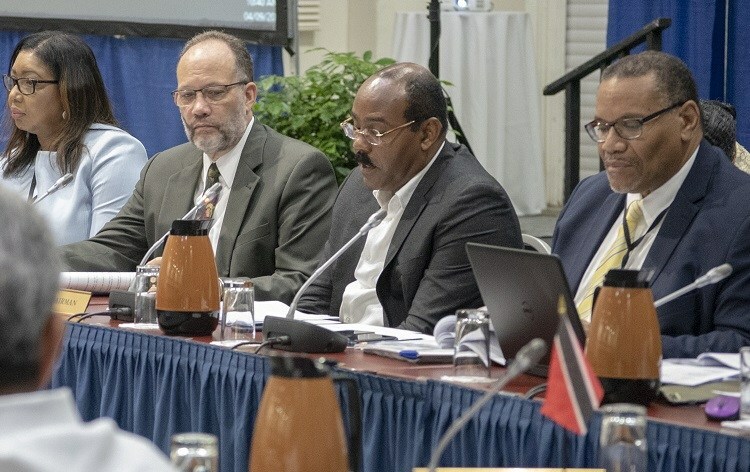 CARICOM Heads of Government, at their July Meeting in Jamaica, mandate the COFAP to finalise a number of instruments by their meetings next year. These include an Investment Policy, an Investment Code, an Incentives Regime, an Integrated Capital Market, beginning with model Securities Legislation. Prime Minister Mia Mottley of Barbados, in welcoming remarks, also underscored the importance of making progress on the matters before the Council. Prime Minister Mottley will on Wednesday also host a Meeting of the Prime Ministerial Sub-Committee on the CSME. CARICOM Heads will meet in a special session on the CSME in November in Trinidad and Tobago.